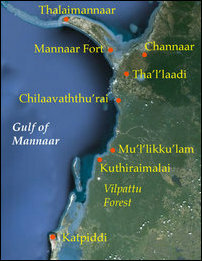 Around 140 uprooted Tamil families from Mu'l'lik-ku'lam in Musali division of Mannaar, waged 38-days of continuous protest demanding resettlement in their own village, which has been transformed the so-called ‘North Western Naval Area’ command Headquarters of the SL Navy that has occupied the village. The uprooted people concluded their protest on 29 April after SL Navy commander met them on the instructions from SL President Maithiripala Sirisena and assured them release of their lands within 3 days. But, more than 10 days have elapsed and the prospects for all of their lands getting released look bleak. The administrative officials are now tightening the rope by questioning the uprooted people to pay back the money spent by Colombo for the housing scheme provided for them at alternative lands earlier. The uprooted people from Mu’l’lik-ku’lam demand full resettlement in their own village as they have no livelihood alternatives. Their fertile agricultural lands and fishing coast remain occupied. They have been demanding the SL Navy to relocate its cantonment from their residential and livelihood related lands. 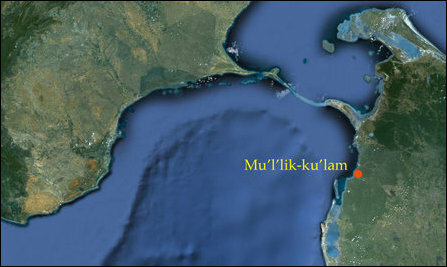 The protest of Mu'l'ik-ku'lam people had received the attention of all influential politicians from Mannaar, including the controversial SL Minister Rishad Bathiudeen. 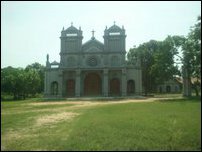 SL President was forced to act as the Catholic community in Mannaar was preparing to expose the matter outside the island. The uprooted families opted to move into the military zone and await there for the release of their lands. Despite facing health hazards and the lack of potable water within the military zone, they want to stay until their land issue is resolved. It seems like SL Navy is only going to return the lands of a few families, and that too after the families document ownership to their lands. The SL Navy is not prepared to relocate its cantonment. It has only relocated its ‘Forward Defence Line’ by a few acres. 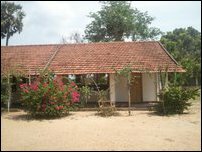 The uprooted people, who didn't want to get back to their temporary settlement at Kaayaa-kuzhi and Malang-kaadu, are staying at the Church of Our Lady of Assumption and at the buildings of SL military occupied Mu'l'lik-ku'lam Roman Catholic Tamil Mixed School. On 04 May, the families met the ‘Deputy Area Commander’ of the SL Navy to know the progress. But, to their disappointment, they were told that the SL Navy was stil awaiting certain clarifications from the SL Defence Ministry in Colombo. In the meantime, Divisional Secretary Subramaniyam Vasanthakumar, who was recently transferred to Musali from Mannaar, met the people and asked the families to submit documentary evidence for their lands on Tuesday this week. Only those who are able to submit valid documents would be considered, Mr Vasanthakumar, who is known to have collaborated with the SL Navy on a number of issues while he was the Divisional Secretary of Mannaar, has told the uprooted people staying at the church. In the meantime, Rev. Fr. Antony Victor Sosai, the vicar general of Mannaar Diocese, who was interviewed by TamilNet on Saturday, urged the public organisations in North to provide assistance to the uprooted people. Fr Victor Sosai also expressed solidarity with the protest of Muslim villagers of Ma'richchuk-kaddi in Musali.